Home / Featured Articles / Paranormal Investigator Exposed To Fake Activity Of Ghosts.. Previous post: My Top 5 Best Methods Of SPIRIT Communication. Next post: Paranormal Investigator Exposed Part 2 – The Aftermath!!! Thank you, thank you, thank you! This guy is such a fraud. I don’t understand how his followers can believe all of the crap he claims is real. I saw the string too. Looked like a fishing line, it had a shine to it. If put under any object with some weight to it, then pulled, the object will move. Doesnot have to be attached. Im afraid it entertainment and so the urge to do more is why such people can con the public. There are signs to know when someone faking a connection to spirit or object being moved. With over ten years experience, and often you just ask spirit you can see straight away. I have seen mediums banging and people chucking 1 pennys but in all my years of a medium i possible seen less than ten actual moving objects…thats not to say they cant but reasons and the way spirit work just isnt about chucking things..
he asks a question and gets a straight answer for one thing, and his ghost sounds a lot like one of is mates of similar age. His mum sounds like she is nearby and nearly walked out onto set during filming. It looks like the ball is rigged with string.. If you watch the video of tom and the object flying off the fire place you can see its allready Halfway…just a bit of time a grvity works and it falls off. He should get a job with the Most Haunted team he will fit right in. When I saw a few of his videos I wasn’t convinced it was real. Sadly this is all people can do now to try and get famous on You Tube. Then when people do catch something for real they rarely put in on You Tube because of the fakers. Oh and BTW I do believe in the paranormal and I have had many encounters of strange things in the past, and still do. 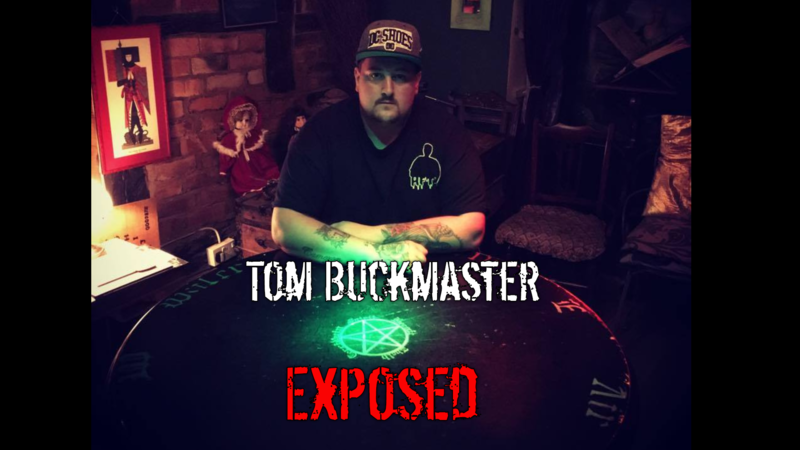 It’s a shame because I really do believe Tom has contacted spirits via ouija board and whilst with my friend BUT these paranormal investigators tend to want to outdo other ones by having ‘the biggest and the best’ reaction which encourages them to fake events and then they spoil their credibility.